Denne app er kun tilgængelig i App Store til iOS-enheder. 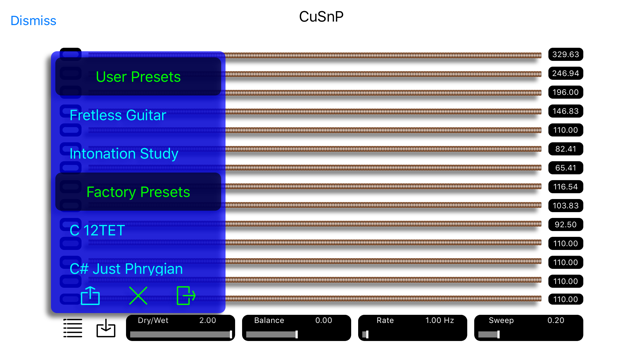 CuSnP is an Audio Unit Extension, or AU, for the iPhone and iPad. 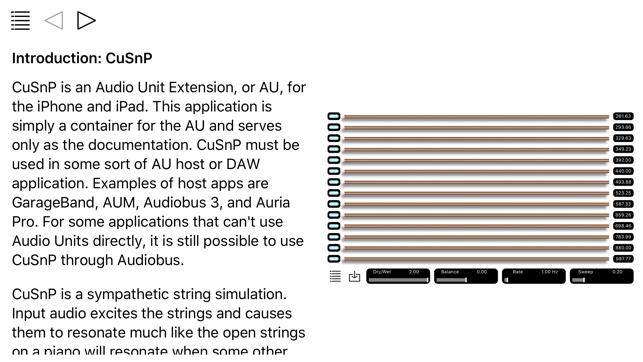 This application is simply a container for the AU and serves only as the documentation. 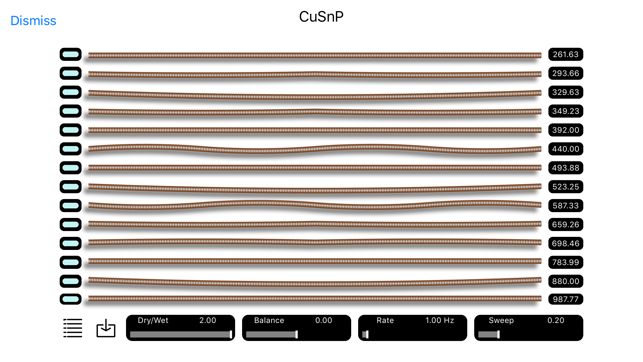 CuSnP must be used in some sort of AU host or DAW application. 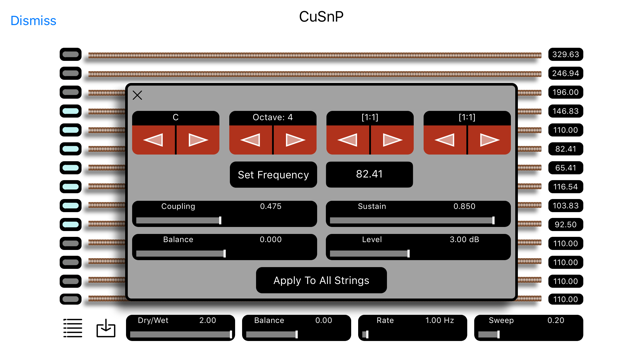 CuSnP is a sympathetic string simulation. Input audio excites the strings and causes them to resonate much like the open strings on a piano will resonate when some other sound source excites them. Fixes an issue with loading saved state in some hosts. 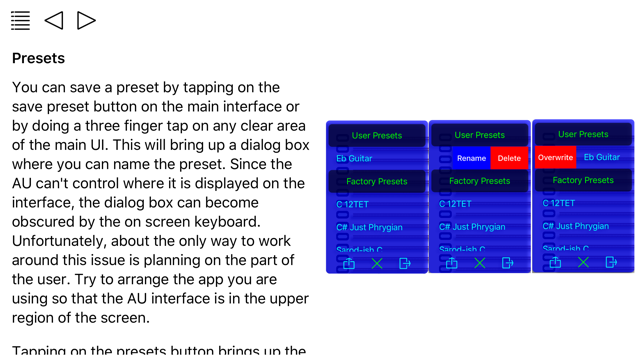 Fixes a minor issue with preset management and Drag and Drop. Kræver iOS 11.0 eller en nyere version. Kompatibel med iPhone, iPad og iPod touch. Op til seks familiemedlemmer vil kunne bruge denne app, når Familiedeling aktiveres.